A continuation from an original job for CBRE, Hopwood Electrical contacted Fusion to manufacture two sets of the neon lookalike led product that we supply and install. 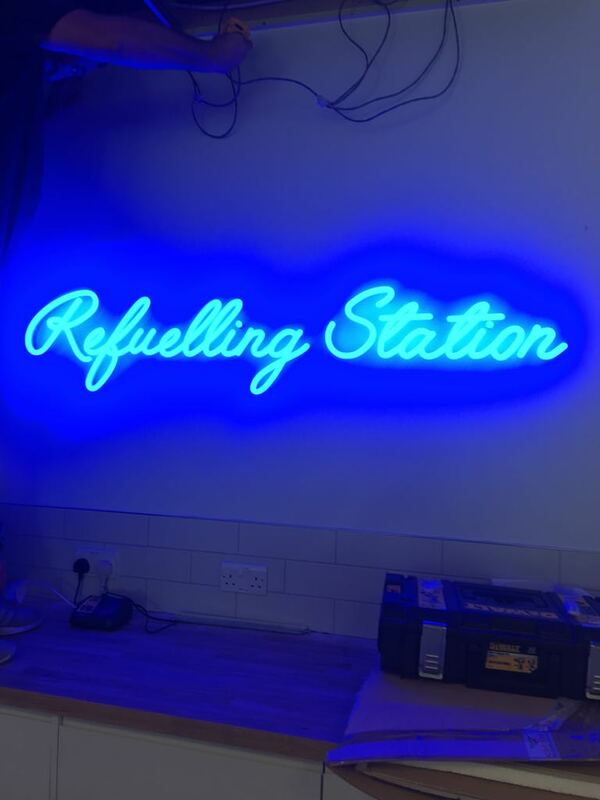 This particular product is excellent for lower level areas as it doesn’t have to be encased in acrylic to stop people touching it as you would with Neon lettering. Its low energy consumption led lighting gives the effect of neon and is safer and more cost effective to operate. If you’re looking for this type of signage for your project, please feel free to contact us to discuss.